© 2016 Nimit Langsuan. All rights reserved. Name of Condominium: Nimit Langsuan Condominium; Developer: Pace Development Corporation Public Company Limited; Chief Executive Officer: Mr. Sorapoj Techakraisri; Registered Capital: 16,782,648,000 Baht (11,538,690,551 Baht paid-up); Registered Address: No. 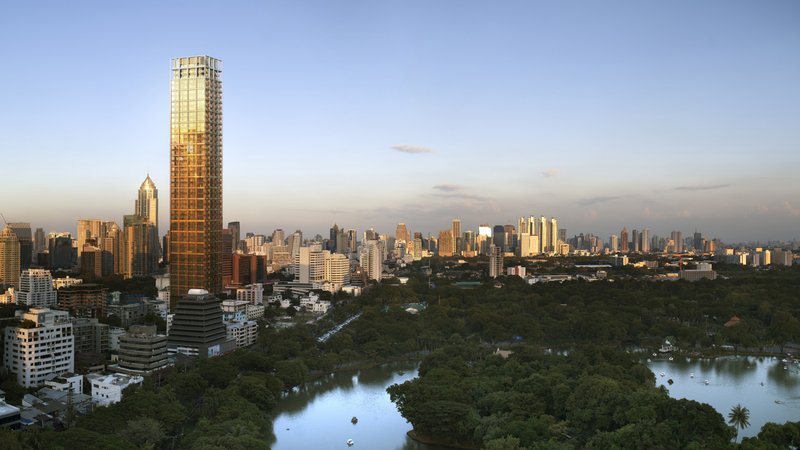 87/2, CRC Tower, All Seasons Place, 45th Floor Unit 3, Wireless Road, Lumpini Sub-district, Pathumwan District, Bangkok; Permit for construction, alteration or demolition (Aor. 1 Form) Number: 3.23/2561; Construction Commencement: 12 May 2016; Construction Completion (approx. ): 31 December 2019; Nimit Langsuan Condominium will be registered as the condominium under the condominium law after the construction completion; Project Location: Langsuan Road, Lumpini Sub-district, Pathumwan District, Bangkok; Nimit Langsuan Condominium is located on title deed no. 919 having area (approx. ): 2 Rai 2 Ngarn 40.2 Square Wah; Land and building have been encumbered with Siam Commercial Bank Public Company Limited; Nimit Langsuan Condominium consists of 54 floors building and 2 underground floors, the total units are 178 units which will be residential units and commercial unit (restaurant); Expenses and taxes shall be paid by unit owners in accordance with the condominium law; the advertisement pictures are simulated; Images and specifications may subject to amendment, and the Developer reserves the right to make adjustments as a result of changes of regulations or laws at time of construction; and/or, any inconsistencies arising from illustrations or artist impressions which shall serve only as indications for general concepts of the project. The information contained in this website is for general information purposes only. The information is provided by PACE Development and/or affiliated subsidiaries. While we endeavor to keep the information up to date and correct, we make no representations or warranties of any kind, express or implied, about the completeness, accuracy, reliability, suitability or availability with respect to the website or the information, products, services, or related graphics contained on the website for any purpose. Any reliance you place on such information is therefore strictly at your own risk.